This peaceful seaside town in West Sussex is a hotspot for tourists during the summer due to the Pavilion Theatre, fantastic Pier and stunning Highdown Gardens. Worthing is a great alternative for those who would love the Brighton experience, without the hustle and bustle of the busy resort town. Thanks to the tranquil environment, during your first driving lesson in Worthing, you won’t be short for nice, quiet areas to begin getting behind the wheel. Hazelwood Trading Estate is an ideal location for your first lesson because it will allow you to practice stopping, starting and clutch control. There are also lots of long, straight roads, perfect for when you want to see how you get on with gradually picking up speed, with left turnings at the end. Once you’ve built up confidence and feel ready to tackle trickier roads, your instructor will move onto areas such as Tarring. Not only is Tarring surrounded by dual carriageways, but there are also many residential estates where you can practice manoeuvres. Bulkington Avenue is filled with parked cars, ideal for parallel parking, along with car parks for reverse bay parking and wide road for a turn in the road. Unfortunately, there are no test centres in Worthing. However, the nearest available test centre is Lancing, which is only 15 minutes away and is surrounded by roads such as the A27, A2025 and A259. Prices & Offers Sale ends 22nd April. Book now! Testimonials See what people say about us. Request a call back Send us a message, text or email us. Not your area? View our A-Z of areas. Easter Sale - ends soon! Don't miss out! There are currently only 41 offers left. Prices will return to normal once we have sold all of our remaining offers. 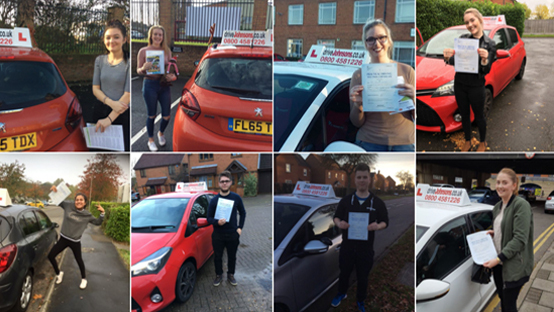 Purchase our great driving lessons add-ons to help you pass even faster. Get access to theory training (usually £14.99), our famous driving manual (£19.99) and 25% off pass plus courses with a bundle pack. Get up to scratch with your driving theory knowledge by purchasing our theory test training. Pupils who have recently passed with us in Worthing.